We have an informal gathering of socialising on the first Wednesday of every month. From 6:30 pm. All are welcome. We meet upstairs at the Bishops Finger, in Smithfield. NEW VENUE FROM APRIL 2019. 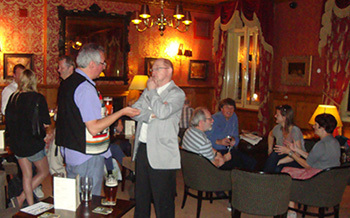 We have about 30 attendees most months and you can come as early or late as you like, we’re always still there at Last Orders. All welcome, not just LH members. Meetings for all of 2019 are as follows: Wed 2 January; Wed 6 February; Wed 6 March; Wed 3 April; Wed 1 May; Wed 5 June; Wed 3 July; Wed 7 August; Wed 4 September; Wed 2 October; Wed 6 November; Wed 4 December. Learn about the history of London with your friends over a pint after work! Eight speakers for eight minutes each addressing all aspects of furry, feathered and scaly Londoners, plus insects! They worked, they entertained, they were food, they were – and are – our companions. Mostly, through history, they were very poorly used. We aim to do them some justice. Plus quiz and prizes! MC for the evening is Matt Brown. LH Members: FREE. Non-members: £6. More information and to book your place. Friday 3 May, 11 am – 45 mins. 1 Moorgate Place, City of London. HQ of the Institute of Chartered Accountants in England and Wales (ICAEW) in the City of London, was built between 1890 and 1893. The original Hall, fronting on Moorgate Place, was designed by the architect John Belcher RA. Described by Sir Nikolaus Pevsner as ‘eminently original and delightfully picturesque’, it is a fine example of Victorian neo-Baroque which draws its inspiration from the work of the Italian Renaissance. Led by LH Member Sharon Grant. Includes tea and coffee. 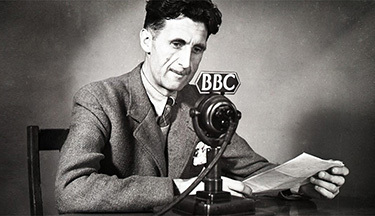 Join us as we follow in Orwell’s footsteps and explore how the life, sights and sounds of pre-war and wartime London had such a powerful influence on his work. Our tour begins at Great Portland Street Tube Station and takes us through well-known parts of the West End, before finishing at Rathbone Place (close to Oxford Street). Our tour leaders are London Historians member and Blue Badge guide David Poyson; and Orwell aficionado Diarmaid Ward. Members: £12 Non-members: £17. both, + fee. Mon 20 May, 1pm and 3pm. Two hours each. 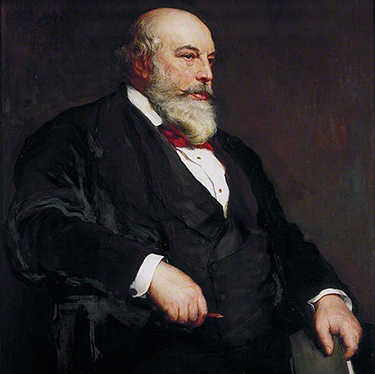 To celebrate the exact bicenterary of this great London architect, Sir Horace Jones (1819 – 1887), we have two Behind the Scenes Tours in the afternoon when we’ll explore his greatest achievement: Tower Bridge. We’ll learn about the history of the Bridge as we visit all areas, including the engine rooms, control room, walkways and one of the great bascule chambers. £22.50 + fee. (less than half the price to the general public!). Only 12 places on each tour. Strictly London Historians Members only. Guildhall Library, City of London. Guildhall Library and London Historians join forces to celebrate the life and works of one of London’s great architects on his actual birthday: Sir Horace Jones. This talk by London Historians Member and City of London Guide Colin Davey will be followed by a wine reception. Limited places. £7 + fee. More information and to book via Guidlhall Library. Third fantastic year. 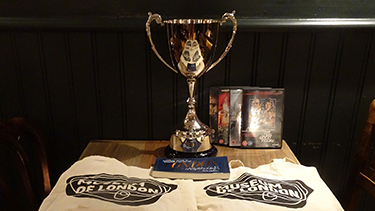 Pit your knowledge against fellow Londoners and win our handsome trophy and other prizes. Quizmaster: Matt Brown. 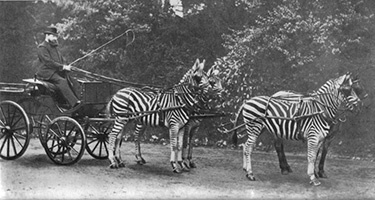 Teams of up to four. 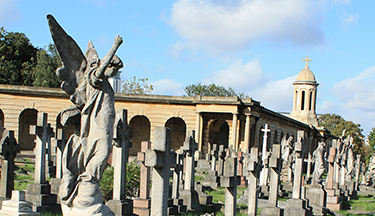 Brompton Cemetery, which opened in 1840 and covers 40 acres (16H), is one of the so-called Magnificent Seven Cemeteries of London. It contains over 206,000 burials and is listed Grade I in the Historic England’s Register of Parks and Gardens. It has recently benefitted from a £6.2 million HLF-funded refurbishment, completed last year. Our tour, which includes the catacomb, will be led by Robert Stevenson, the leading London cemetery expert and qualified City of London Guide. Look out for these going live soon… diary items in the meantime. A tour on the Uxbridge branch of the Piccadilly, exploring some classic Charles Holden Stations, with LTM volunteers David Burnell and Steve Leppert. Maximum 10 attendees. Strictly London Historians members only. See the original versions of classic posters from London Transport Museum’s collection. Last chance to do this on at the old prices. This major exhibition explores the life and legacy of the iconic designer Abram Games, focusing on his time as ‘Official War Poster Artist’ during the Second World War. The exhibition includes posters from the National Army Museum’s collection alongside objects on loan from the family of Abram Games. Several institutions host wonderful history lectures which are either free or cost very little. The venerable Gresham College holds free lectures at its HQ in Barnards Inn, Holborn and also at Museum of London. Details.